Taste Slightly milder and a little sweeter. Napa Cabbage (Brassica rapa) also known as Chinese cabbage, pe-tsai, celery cabbage, Chinese white cabbage, Peking cabbage, won bok, nappa (Japanese), hakusai (Japanese), pao, hsin pei tsai, Chinese leaf belongs to Brassica family; a large class of leafy/flower-head vegetables which also includes brussels sprouts, kale, cabbage, and broccoli. 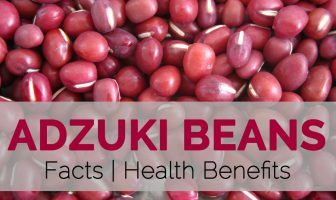 It is native to Beijing region of China and is cultivated throughout the world due to its higher nutritional value. There are two major types of Napa cabbage; Chilili and Che foo. Chilili types produce cylindrical heads, measuring about 18 inches long and 6 inches wide, featuring erect, upright growing habit. Che-foo type forms compact, round head of green-blade with white-petioled leaves. Since it is a cool season vegetable it grows best when the days are short and mild. It is normally used for stir-fry, but it is also great raw in salads. Napa Cabbage also known as Chinese cabbage is an annual, cool season vegetable growing up to 18 inches tall and wide. It grows best in full sun, but will tolerate partial shade and prefers well-drained, nutrient-rich soil that’s high in organic matter. It grows best in when the days are short and the temperature is moderate. The plant grows to an oblong shaped head consisting of tightly arranged crinkly, thick, light-green leaves with white prominent veins. The interior leaves and the heart are yellow to ivory colored. The ribs and stem ends are much thinner than the regular green cabbage. The water content is also higher, creating a crisper and more refreshing texture. Its flavor is sweet, crunchy, and celery flavored leaf and has slightly milder and a little sweeter taste. It can be harvested when it reaches the desired size. 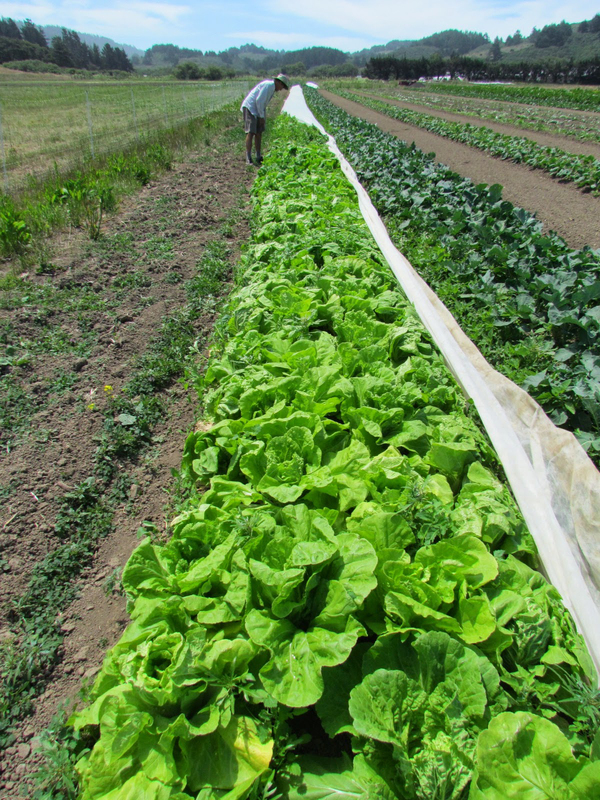 A full grown Napa cabbage is around 8 – 9 inches thick. A mature one can tolerate slight cold weather. The heads can weigh almost five pounds. It is basically used in East Asian dishes. It tastes delicious when cooked. It is also used raw in many dishes like salads. It is said that, this vegetable was first cultivated in China during fifteenth century. Even in Korea, people have been cultivating Napa cabbage for centuries. This cabbage is sometime considered as a hybridized cross between Turnip and Pak Choi. It was introduced in the United States and other parts of the North American continent in the 19th century. Nowadays, this cabbage is cultivated throughout the world. Apart from their slightly milder and a little sweeter taste, Napa cabbage is a good source of nutrients, vitamins and minerals. Consuming 109 gram of Napa cabbage offers 47 µg of Vitamin B9, 0.105 mg of Copper, 0.81 mg of Iron, 0.221 mg of Manganese, 3.5 mg of Vitamin C, 32 mg of Calcium, 0.508 mg of Vitamin B3 and 0.04 mg of Vitamin B6. Chinese cabbage has long been recognized as a health boosting vegetable, the following outlines exactly what is on offer. Napa cabbage consists of considerable amount of vitamin B9 which is a major tool for improving the work of the human heart. It does so by removing homocysteine that is the major causes of heart attacks at early ages. It controls the level of deposition of cholesterol on the human heart, thus ensuring that our cardiovascular system is saved from various disorders. Consuming copper rich foods helps to stimulate higher-level thought processes and mental functioning. It is called a “brain food” because it helps to enable certain neural pathways that promote out of the box thinking. Copper deficiency during growth may result in incomplete brain and nerve development. Include copper rich foods like Napa cabbage in your diet since it contains 0.105 mg of Copper which is 11.67% of the daily recommended value. Manganese is essential to help with proper production of digestive enzymes responsible for a process called gluconeogenesis. Gluconeogenesis includes the conversion of protein’s amino acids into sugar and the balance of sugar within the bloodstream. 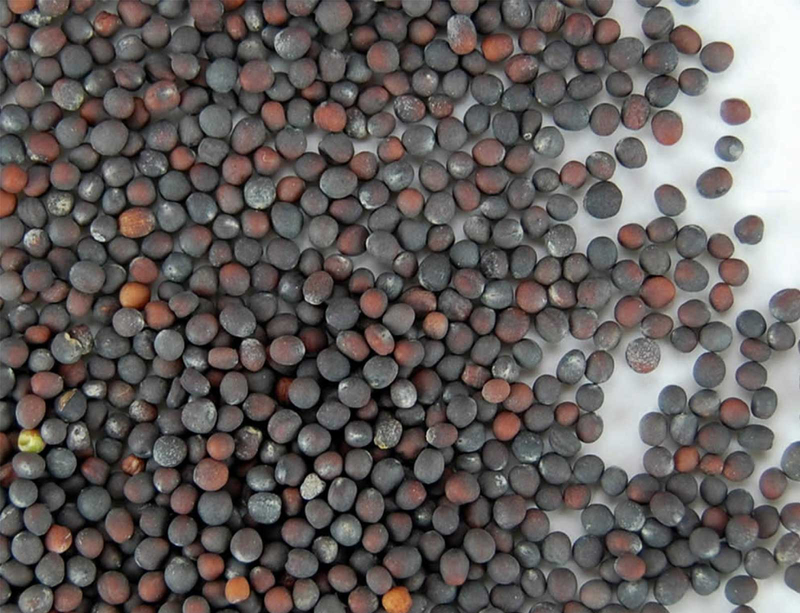 Though the exact mechanism still isn’t clear, manganese has been shown to help prevent overly high blood sugar levels that can contribute to diabetes. Vitamin C contained in Napa cabbage helps to enhance the immune system of our body, which protects us from colds and coughs. It accelerates the absorption of iron and thus strengthens the body’s resistance to infection. It also fights against viruses. 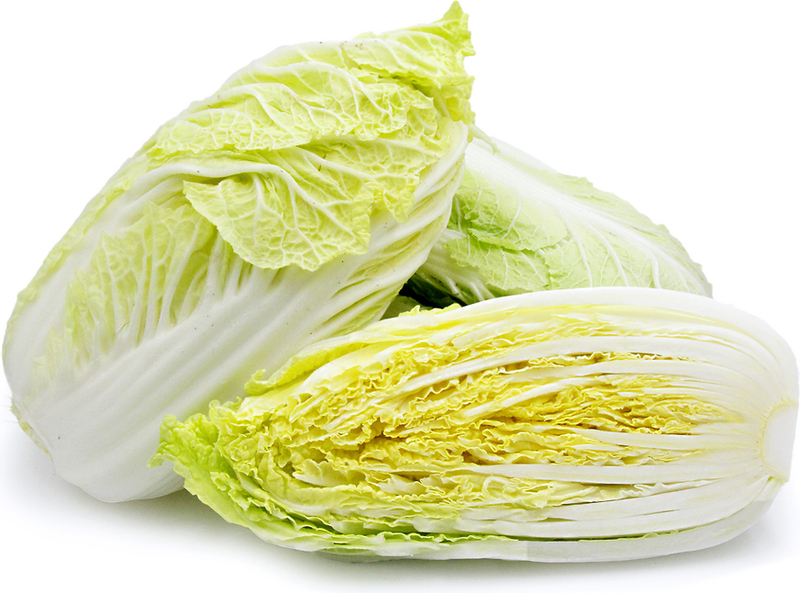 Napa Cabbage consists of 3.5 mg of Vitamin C which is 3.89% of the daily recommended value. Calcium is one of the main elements in the body, and the skeletal system is completely constructed of it. Throughout pregnancy, mothers are recommended to increase their calcium intake as it is not only essential for the sustenance of their body, but also for the perfect growth and development of the baby. Receiving sufficient amount of calcium will ensure that the baby has enough calcium to continue growing at a healthy rate. If calcium is inadequate, the baby will be forced to leech the calcium it needs from the mother’s stores. So consuming Napa Cabbage during pregnancy is highly recommended for pregnant women. Research shows that Vitamin B3 in the form of niacinamide is effective in increasing joint mobility. Research link niacin intake with lower levels of joint pain, improved muscle strength, and fewer symptoms related with muscle or joint fatigue. Napa Cabbage consists of vitamin B6 which is responsible for dealing with number of emotional disorders. Deficiency of this vitamin may affect the formation of hormones and unbalances the level of these hormones, which eventually leads to emotional disturbances. Thus, the intake of Vitamin B6 rich foods is essential to control these hormones and treat emotional disorders. Maximum amount of phosphorus is required for the bones and teeth; one should make sure that you are getting sufficient amount of phosphorus. Apart from calcium phosphorus is equally important for the healthy bones and teeth. The mineral is essential during puberty stages for the growth hormone. Women too require it crucially during the pregnancy as well as menopausal stages. Phosphorus helps promote the re-mineralization of the teeth and the bones and keep them healthy. Sufficient amount of calcium and phosphorus is required to prevent osteoporosis. However, bone growth can be hampered if the ratio of calcium to phosphorus is too high. Phosphorus helps prevent tooth decay and gum problems. Napa cabbage consists of 21 mg of phosphorus and 32 mg of calcium which is 3% and 3.20% of the daily recommended value. People suffering from chronic asthma may be able to normalize their breathing with the help of magnesium supplements that aid in relaxing the bronchial muscles and regulating breathing. Even wheezing and breathlessness can be relieved through administration of intravenous magnesium. Regular consumption of magnesium rich food like Napa cabbage is also one of the best options to get required amount of magnesium through your diet. 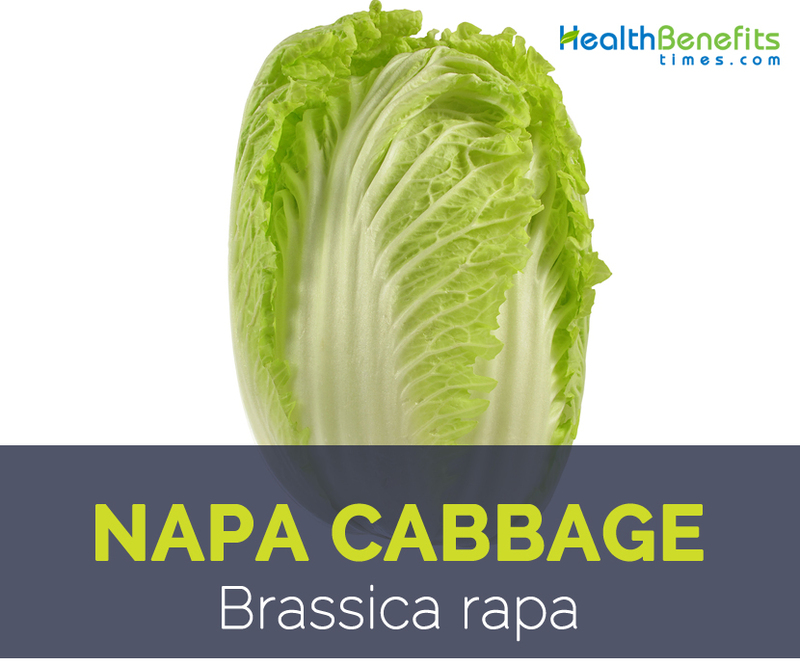 Sweet, crunchy, tasty napa cabbage can be eaten raw, added to salads, sandwiches, and burgers. As cabbage varieties, Napa too can be used to prepare coleslaw. Napa cabbage is one of the popular vegetables employed in Korean fermented dish-kimchi. Shredded Napa cabbage is steam cooked with rice wrapped inside plantain leaves and served with stews in Thailand and other East Asian countries. It is used like cabbage in stir fries with added onion, garlic, bell pepper and green chilies mixed with steamed rice and soy/chili/tomato sauce to prepare fried rice, egg rice noodles, chowmein…etc. in China and other East Asian region. Both bok choy and Napa are delightful vegetables used generously in modern-day stir fries, soups, stuffing…etc. Extend consumption of these vegetables may cause swelling of the thyroid gland, a condition known as goiter. Pests are common in leafy-cabbages. Conventionally grown Napa may have been subjected to insecticidal spray in order to evade pest infestation. Therefore, wash carefully in cold running water, soak in salt water for around 30 minutes, and wash again in clean water. In the groceries, purchase fresh, crispy, compact Napa cabbage. Evade those with yellow, dry or infested and old stocks. At home, store Napa cabbage as you would do for other greens, inside the refrigerator set at high relative humidity. Use it while farm fresh to get optimum health benefits. Otherwise, Napa should be stored inside the refrigerator for later use. Napa cabbage is mainly used in East Asian dishes. It tastes delightful when cooked. It is also used raw in many dishes like salads. Stir Fry – Napa cabbage adds delicious flavor to any stir fried dish. Wraps – The large leaves of Napa cabbage is used to make wraps. You can use rice, beans, chicken salad, cheese, pork, beef, vegetable and a lot more as fillings. Soup – Like other cabbages, this cabbage can be used to make soups. It can be used in chicken soups, pork soups, vegetable soup etc. Asian Chicken Salad – It is an integral part of Asian Chicken Salad, which is made with Napa cabbage, cucumber, carrot, chicken etc. Brassica campestris var. oleifera DC. Brassica campestris var. rapa (L.) Hartm. Brassica rapa subsp. olifera DC. Brassica rapa subsp. rapifera Metzg. Brassica rapa subsp. sylvestris (L.) Janch. Brassica rapa var. dichotoma (Roxb. ex Fleming) Kitam. Brassica rapa var. oleifera DC. Brassica rapa var. trilocularis (Roxb.) Kitam.